1878: Guy W. Ballard was born in Newton, Kansas, United States. 1886: Edna Wheeler was born in Chicago, Illinois, United States. 1930: Guy Ballard’s alleged first encounter with the ascended master Saint Germain occurred on Mount Shasta. 1932: The Saint Germain Foundation and publishing house was founded. 1934: Guy Ballard’s first book Unveiled Mysteries was published under his pen name Godfré Ray King. 1935: The Magic Presence, and The “I AM” Discourses were published. 1936: The Voice of the “I AM” journal was founded. 1939 (December 29): Guy W. Ballard died from arteriosclerosis in his son’s home in Los Angeles. 1941: The Internal R evenue Service revoked the movement’s tax-exempt status, as the movement was not formally recognized as a religion at the time. 1942: Edna and their son Donald Ballard were charged with mail fraud by the Los Angeles state attorney . 1954: The movement re-obtained its right to use the postal system. 1957: The movement re-obtained its tax-exempt status, and Donald Ballard left the movement. 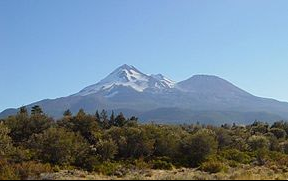 According to the narrative of Guy W. Ballard (1878-1939) as presented in his first book, Unveiled Mysteries (1934), the I Am Activity began in August-October 1930 with his meeting of an ascended master by the name Saint Germain upon Mount Shasta, the volcanic White Mountain in northern California (King 1934: xvii) . Ballard was sent on government business to a little town at the foot of Mount Shasta, and, as he explains, having heard occult rumors of a group of divine men named the Brotherhood of Mount Shasta he decided to investigate this in his spare time (King 1934:1). However, as Ballard narrates, one particular morning he planned a hike in the mountain to reconnect with the innermost of his heart and enter a sacred space (King 1934:2). During lunchtime, it had become very warm and Ballard had found a river with clean spring water. He took out his cup ready to fill it when an electrical current passed through his entire body from head to foot as a young man suddenly appeared behind him (King 1934:3). The man began an elaborate discourse about the infinite possibilities man can gain access to through the right apprehension of Love, intense desire and what is termed the Eternal Law of Life or the idea that whatever a person thinks and feels will manifest in his life through hidden spiritual laws (King 1934:4-6). He stood there before me—a Magnificent God-like figure—in a white jeweled robe, a Light and Love sparkling in his eyes that revealed and proved the Dominion and Majesty that are his (King 1934:15). This occurrence put him in a place of authority alongside previous Theosophical leaders such as Helena P. Blavatsky (1831-1891), Henry S. Olcott (1832-1907), A. P. Sinnett (1840-1921), C. W. Leadbeater (1854-1934) and Alice A. Bailey (1880-1949). His wife Edna Anne Wheeler (1886-1971) and son Donald Ballard son were also designated accredited messengers, even though Edna only received new messages during the last few years of her life and Donald never received any and finally resigned from his involvement with the I AM Activity in 1957. Ballard returned to his home in Chicago, Illinois after his visit to Mount Shasta, and he and his wife [Image at right] established the I Am Activity. In 1932, they founded the Saint Germain Foundation and a publishing house, the Saint Germain Press . However, according to Jean-François Mayer , it was not until 1934 with their publication of Ballard’s first book Unveiled Mysteries under his pen name Godfré Ray King that the movement really began to take off . This lead to the publication of his next two books the following year (1935): The Magic Presence, which continued his narrative of personal experiences with the ascended masters and The “I AM” Discourses which basically is a guide to applying the I AM teachings and a more elaborate description of the I AM principle. In 1934, Guy Ballard publicly demonstrated his claimed communication with the ascended masters for the first time. The messages received from these events were later published in The Voice of the “I AM” journal founded in 1936 and included nearly 4,000 recorded messages that later were compiled in book-form in twenty volumes. Ballard’s public display of his communications became so popular that conclaves were held in auditoriums from 1935 on with room for 6,000 people (Mayer 2005 :587). These conclaves included spiritualistic ritualistic activities where messages were received directly from the ascended masters and guided prayers and affirmations. This popularity resulted in a continued expansion of Ballards’ audience, which by around 1938 might have been around 1,000,000 followers (Melton 2009:4246). This astonishing popularity can be perceived as a response to the Great Depression, which began with the U.S. Wall Street stock market crash on October 29, 1929 and lasted through the 1930s. In this time of great crisis many of Ballard’s teachings and practices seem to have appealed to a general public in search of meaning. Close to the end of the Great Depression and the height of Guy Ballard’s popularity, he died from arteriosclerosis on December 29, 1939 in his son’s home in Los Angeles and was cremated on December 31. The next day his wife announced that at midnight on December 31 Guy Ballard had ascended at the Royal Teton, which according to the I AM mythology is a spiritual abode where ascended masters dwell and train their disciples in North America (Grand Teton Mountain, Wyoming) (King 1934:72-108, 243-60) . Ballard’s writings outlining the basic teachings and practices of the I AM Activity are not systematic theological writings, but rather consist of narratives and dialogues with some illustrative examples. The doctrines that often are touched upon in the books are closely aligned with the modern Theosophical tradition and thus include belief in inner spiritual worlds; a higher self, spiritual bodies, reincarnation and karma, spiritual enlightenment and a grand divine plan of the universe, but the most important theme and the source of spiritual authority was Ballard’s claimed contact with what he termed the ” ascended masters ” (Rudbøg 2013:154-60. This web-article is to some extent adapted from Rudbøg 2013). According to the I Am Activity, the ascended masters are described as perfected beings, members of The Great White Brotherhood (King 1935:vi-vii, viii) “…who direct, protect and assist in expanding the Light within mankind upon this earth” (King 1934:vii). Ballard however emphasizes that these beings are actual physical-spiritual beings. They inhabit physical bodies and dwell in physical locations (King 1935:ix-x). The idea that the masters, who for a long time have operated in secret, now reveal themselves to the world through Ballard and pour extra amounts of Light into humanity is according to I AM teachings evidence of a dawning golden age. It is an I AM age which in itself highlights the unique importance of the I AM teachings and their unique attraction during the Great Depression (Saint Germain 1935:x-xi, xiv). Furthermore, when the golden age cyclically emerges again, it is believed that the masters will walk amongst men as they once did in former golden ages and once again explain “… the original Divine Way of Life …” (King 1935:vii). While Ballard argues that mankind has forgotten “the original Divine Way of Life,” the I Am Activity does not entertain a destructive eschatological millenarian expectation. Rather, they often praise the physical world. However, Ballard calls for urgency during his time of secular society’s crisis to recognize the masters, the angelic hosts and their work of “constantly pouring out their Transcendent Light and Assistance to mankind” (King 1935:vi) . C ooperation through recognition of the masters and through the I Am principle will aid in bringing about the new historical period of peace and divine love (King 1935:vi). Such cooperation with the masters is thus perceived as a central goal for the practicing I Am individual and would provide the believer with a sense of participation in the lifting of the crisis of the time. Consequently, receiving messages from such masters was a vital religious activity during group gatherings, in which the authoritative messenger would dictate the messages from the masters to the group. Saint Germain and Jesus are the most central masters to the I Am Activity. Every I AM sanctuary therefore ha s pictures of both Saint Germain and Jesus. Saint Germain and other masters were furthermore deeply patriotically and nationalistically, linked to what was regarded as the unique spiritual mission and destiny of America. There is a “Special Group of … Great Ones working at the present time with America, to stabilize and protect her. Among Them, the Ascended Masters, Saint Germain, Jesus, Nada, Cha-Ara, Lanto, Cyclopea, the Great Master from Venus, Arcturus, the Lords of Flame from Venus, and One, known as the Great Divine Director, are working here very definitely by establishing Tremendous Pillars and Rays of Light in America (King 1935:vi) . Here Ballard introduces several new masters into the Theosophical tradition of the Great White Brotherhood, such as Nada, Cha-Ara, Lanto, Cyclopea, Arcturus and the Great Divine Director. He focuses less on the conventional Theosophical masters such as Master Koot Hoomi and Master Morya known from Blavatsky’s time. Where the Ancient Wisdom and the masters with Blavatsky and later theosophists were placed in secret places in the Far East, the time had now come, according to Ballard, for them to be operating in America (King 1935: vii). When you recognize and accept fully, “I AM,” as the Mighty Presence of God in you—in action , you will have taken one of the greatest steps to liberation (Saint Germain 1935:13, 19). The I AM presence is close to what later new age religious groups would term the ” higher self ,” and it is the realization of this higher self or the I AM presence that is at the core of many of the rituals practiced in the I AM movement. The practice of positive affirmations that more recently has become popular in self-help and positive psychology groups is fundamental to ritual practices in the I AM Activity. The Ballards’ approach to the practice of affirmations was derived from New Thought and is centered around the notion that everyone is divine and perfect in essence and therefore always in a condition of perfect health. Furthermore, the mind is causative, and hence we are the ones who through misapprehension and false thoughts construct bad health and ill conditions (Rudbøg 2013:160-66). By using affirmations, we can alter our false self-perception by affirming how things are in the divine reality and thus change the negative condition in which we think we are at present. In the context of New Thought, even when one states a simple sentence, such as “I AM happy,” one makes use of God’s name, which is identical to one’s own self. In that sense it helps manifest ones true identity and union with God. Thus it is highly destructive to make a statement that includes a negative affirmation, such as ” I AM sick ” as this counteracts truth and the process of realization. In the Gospel of John, Jesus likewise began many sentences with the proclamation I AM; which according to New Thought and Ballard is taken as evidence that he utilized this teaching (John 6:38, 48, 51; 11:25; 14:6, 10, 20; 15:1, 5 ; Saint Germain 1935: 12, 20-1, 23). Only fragments of the real understanding of the “I AM Presence” have been given to the outer world until now. The Ascended Master, Saint Germain, says: It is the most important Understanding mankind can ever have; and there is no Freedom nor Perfection for the individual, except through this conscious application. He considers it of such paramount importance that he dictated more than thirty-three discourses in which he explains what happens in the outer Life of the individual when one says I AM. He also says: “Nothing will bless the individual to so great a degree as the conscious Understanding of this ‘Creative Word'” (Saint Germain 1935:xv). Everyone is constantly qualifying this energy which is pouring forth continually. Each one is continually pouring his color into it, through his own consciousness. … Every student must [therefore] take the responsibility of his own activity in qualifying the energy he sends forth (Saint Germain 1935:71-2, brackets are mine). “I AM” is the Activity of “That Life” … When you say, and feel “I AM,” you release the spring of Eternal, Everlasting Life to flow on Its way unmolested (Saint Germain 1935:2). The way to manifest the I AM, to set God in action, and open up to health, perfection or whatever one might want to accomplish is thus, according to the I AM teachings, by either silently or aloud decreeing the I AM in relation to the desired object (I am healthy, I am courageous, I am rich). When new students thus begin their I AM work, they are given such basic decrees contained in small booklets composed with specific goals in mind. I Am activity rituals are however not only found on the individual level. On a larger social level , the movement still ritualistically enacts sacred dramas and conduct sacred gatherings. The movement has, for example, every August since 1950 kept its ‘I AM Come!’ Pageant at Mount Shasta. This is a ritual enactment of “the life of Beloved Jesus, focusing on His Miracles of Truth and Healing, and the example of the Ascension which He left to the world” (Saint Germain Foundation website). According to the I AM perspective, human beings have simply forgotten their divine inner master consciousness, the I AM, the Christ Self. The ascended masters, and here specifically Jesus, therefore function as religious or devotional exemplars for I AM members. Along with their “I Am Come!” Pageant, colorful images, such as a diagram entitled “the magic presence,” is often used by the movement to practice the realization of the I AM presence. [Image at right] The magic presence diagram shows an individual standing within a purple flame. Above the person is another person hovering in front of a colorful sun. The person hovering above the person standing on the ground sends forth an aura of golden light, which connects with the upper body and head of the person standing on the ground. The colorful central sun is the Mighty I AM Presence, the person hovering is the I AM, the inner Christ or master self , and the person on the ground is the individual personality connected to the I AM master self. The Violet Flame is released in the presence of the I AM and consumes all disharmony and impurity in the individual and in the world (King 1935: front-piece. See also Melton 1994:10-11). The visualization practice and use of what is known as the Violet Flame in relation to such colorful diagrams is both unique and central to the I AM teachings and its offshoots even though the use of the violet light and its relation to the seventh ray already was formulated in 1922 by Alice A. Bailey (Bailey 1973:127). Another minor, near magical, feature of Ballard’s practical teachings is the use of a visualized protective electronic belt, which will keep the individual from all harm (Saint Germain 1935:57, 78). Ballard’s path for the I AM aspirant, in order to truly master the I AM Presence, is thus markedly ritualistic through the practice of decreeing, self control, contemplation and the use of the Violet Flame. These practices are intended to help the student to ascend and achieve master-hood, which is coupled with the perfect realization of the pure I AM Presence in action and the perfect mastering of the great Law of Life or what more popularly now is call positive thinking. The “I AM” Activity is spiritual, educational and practical. There are no financial schemes behind it; no admission is ever charged. It takes no political stance in any nation. The parent organization is Saint Germain Foundation, with worldwide headquarters located in Schaumburg, Illinois, a suburb of Chicago. [Image at right] It is represented throughout the world by 300 local groups termed “I AM” Sanctuary®, “I AM” Temple®,”I AM” Study Groups®, or “I AM” Reading Room®. Saint Germain Foundation and its local activities are not affiliated with any other organization or persons. The Saint Germain Press also continues to publish the I AM books, pamphlets, artwork and audio recordings of the Ballards’ teachings as well as the monthly magazine The Voice of the ‘I AM’, which is still available by subscription . There are several offshoot movements related to Ballard’s I Am teachings. After the Second World War , the movement experienced several divisions, which resulted in movements such as The Bridge to Freedom (1951), The Summit Lighthouse (1958), The Ascended Master Teaching Foundation (1980), and The Temple of the Presence (1995). In terms of influence, it was especially through these movements that the I AM teachings entered the broader current of New Age spirituality with ideas such as the I AM Presence, the Ascended masters, the use of positive affirmations/decrees, the focus on the divine light permeating everything, the use of simple devotional language and colorful spiritual artwork (Rudbøg 2013:168-70). Not long after Guy Ballard’s death and with the Second World War overhead, the I AM Activity faced a challenging twenty years. Gerald B. Bryan, the great I Am critic, after publishing his Psychic Dictatorship in America (1940), urged former students of the movement to file lawsuits against it. The situation animated, during this intense anti-totalitarian period in the U.S., and resulted in the IRS withdrawing the movement’s tax-exempt status in 1941 as the movement was not formally recognized as a religion. Furthermore, in 1942 Edna and Donald Ballard were charged with mail fraud by the Los Angeles state attorney under the accusation that the teachings of the I AM Activity literally were unbelievable. This became a landmark court case relating to religious freedom in the U.S. (United States v. Ballard 1944, 322 U.S. 78). The trials ended with a second trial in 1946 with no standing convictions. The right to use the postal system was, however, not automatically returned to them and could only be re-obtained through a long process, which finally saw its end in 1954, three years before the movement saw the return of their tax-exempt status (Albanese 2007:470). Image #1: Photograph of Mount Shasta. 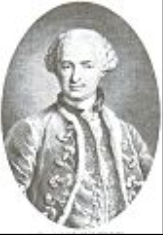 Image #2: Image of the Count of Saint Germain. 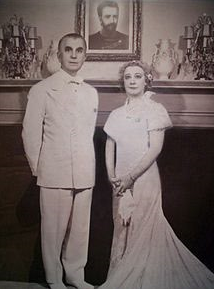 Image #3: Photograph of Guy W. Ballard and his wife, Edna Anne Wheeler. Image #4: Photograph of activities at the annual I AM Come!’ Pageant at Mount Shasta, California. Image #5: Symbolic representation of the I Am Presence. Image #6: Photograph of the world headquarters of the Saint Germain Foundation in Schaumburg, Illinois. Albanese, Catherine L. 2007. A Republic of Mind and Spirit: A Cultural History of American Mind and Spirit. Yale: Yale University Press. Bailey, Alice A. 1973. Letters On Occult Meditation. New York: Lucis Publishing House. Barrett, David. 1998. Sects, “Cults,” and Alternative Religions: A World Survey and Sourcebook. London: Blandford. Bryan, Gerald B. 1940. Psychic Dictatorship in America. Burbank, CA: New Era Press. King, Godfre Ray [pseudonym of Guy W. Ballard]. 1935. The Magic Presence. Chicago: Saint Germain Press. King, Godfre Ray [pseudonym of Guy W. Ballard]. 1934. Unveiled Mysteries. Chicago: Saint Germain Press . Mayer, Jean-François. 2005. ”‘I AM” Activity” Pp. 587-88 in Dictionary of Gnosis and Western Esotericism, edited by Wouter J. Hanegraaff. Leiden: Brill. Melton, J. Gordon. 2009. Melton’s Encyclopedia of American Religions, Eighth edition. Detroit: Gale. Melton, J. Gordon. 1994. “The Church Universal and Triumphant: Its Heritage and Thoughtworld.” Pp. 1-20 in Church Universal and Triumphant: In Scholarly Perspective. Stanford, CA: Center for Academic Publication. Rudbøg, Tim. 2013. “The I Am Activity” Pp. 151-72 in Handbook of the Theosophical Current, edited by Olav Hammer and Michael Rothstein. Leiden and Boston: Brill. Saint Germain [through Guy W. Ballard]. 1935. The “I AM” Discourses. Chicago: Saint Germain Press. Saint Germain website. n.d. Accessed from www.saintgermainfoundation.org on 8 September 2016. Anderson, C . Alan. 1997. “Quimby As Founder of New Thought” The Journal of the Society for the Study of Metaphysical Religion 3 : 5-22. Bailey, Alice A. 1958. The Externalization of the Hierarchy. Tunbridge Wells, Great Britain: Lucis Press. Bjorling, Joel. 1992. Channeling: A Bibliographic Exploration. New York and London: Garland. Braden, Charles Samuel. 1963. Spirits in Rebellion: The Rise and Development of New Thought. Dallas: Southern Methodist University Press. Braden, Charles Samuel. 1950. These Also Believe: A Study of Modern American Cults and Minority Religious Movements. New York: MacMillan. Ellwood, Robert S. 1988. ” Making New Religions: The Story of the Mighty ‘I AM’.” History Today 38:20-21. Ellwood, Robert S. 1973. Religious and Spiritual Groups in Modern America. Englewood Cliffs, NJ: Prentice Hall. Leadbeater, Charles W. 1925. The Masters and the Path. Adyar: The Theosophical Publishing House. Melton, J. Gordon. 1996. Encyclopedia of Occultism & Parapsychology, Fourth edition. Detroit: Gale. Melton, J. Gordon. 1996. ” The Case of Edward J. Arens and the Distortion of the History of New Thought.” The Journal of the Society for the Study of Metaphysical Religion 2:13–30. Melton, J. Gordon. 1992. New Age Encyclopedic Handbook of Cults in America. New York and London: Garland. Melton, J. Gordon. 1991. Religious Leaders of America. Detroit: Gale. Melton, J. Gordon et al. 1990. New Age Encyclopedia. Detroit, New York and London: Gale. Prophet, Elizabeth Clare. 1983. The Great White Brotherhood. Malibu, CA: Summit University Press. Reeves, Thomas C. 2000. Twentieth-century America: A Brief History. New York: Oxford University Press. Stupple, David W. 1965. A Functional Approach to Social Movements with an Analysis of the I AM Religious Sect and the Congress of Racial Equality. M.A. thesis. Kansas City: University of Missouri. Whitsel, Bradley C. 2003. The Church Universal and Triumphant: Elizabeth Clare Prophet’s Apocalyptic Movement. New York: Syracuse University Press.